I have no idea why dystopian movies have been on my mind. My last post was about a recent dystopian movie. A few days ago, I thought about the dystopian phase of Charlton Heston’s career. Heck, I thought about it to the point that I almost did a “Movie Wisdom” post based on Heston’s movies. As I got into it, I realized that I have seen a bunch of his movies, and the task became daunting. That is when I thought about a movie that does not rank among the dystopian classics, but it has enough cool features that I think it should. 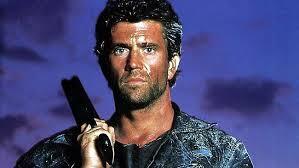 Mad Max: Beyond Thunderdome came out in 1985, which was in the middle of my formative high school years, and it was awesome. The end of a trilogy, I think it is better than the first one but not as good as the second one. That does not matter. If it is on television, then I am going to watch it. Of course, I do the same thing with Flash Gordon. What makes Mad Max: Beyond Thunderdome cool? There are many reasons. It is about Mad Max, the former cop who is the baddest man in a nuclear waste world full of bad men. That nuclear waste world also has bad women, and Aunty Entity is the baddest of those. 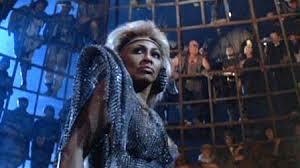 Tina Turner, at the height of her powers, plays the villain. However, are there really any villains in a destroyed world? That would be a destroyed world full of filth and grime, but, in the middle of all that, Aunty Entity has a sleek penthouse with clean water and her own private horn player. That horn player puts out some good tunes, but nothing compares to the theme sung by Tina Turner. Do we need another hero? I have no idea. However, I think we need more creepy announcers to introduce the fighters in the ultimate cage match. How would it feel to be waiting in the wings and hear Dr. Dealgood say, “Dyin’ time’s here.”? By the way – two men enter, one man leaves. Who are these combatants? Of course, Mad Max is involved. 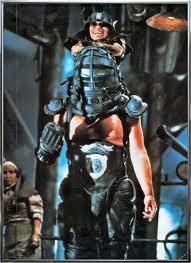 However, the champion of Thunderdome is Master Blaster. That is what I call a lethal combination of brain and brawn. Speaking of brain, I cannot make a Mad Max: Beyond Thunderdome list without mentioning the resident philosopher, Pigkiller. I have already written a post about him. If you want to improve your IQ, then I suggest taking a look at it. Anyone who has seen a Mad Max movie knows that it is filled with cool cars and strange characters. There is a lot of stuff there to like. 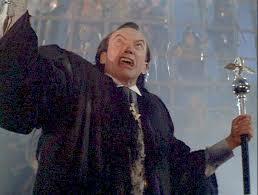 However, this installment has one scene that stands out above all others. At the end, Max has helped a group of lost children make it to the safety of an abandoned city. Once there, they create a new society but do not want to forget their past. Every night, they gather, and Savannah Nix talks about what came before. It is hard to imagine that someone can find inspiration in a 1980s Mad Max movie, but I find it in that scene. It makes me think of my job as a historian. People in my profession find what has been, which is not an easy thing to do. Then, we give that information to others in classrooms, conference rooms and publications. We may be the chroniclers of history, but that does not mean that we own it. History belongs to everyone, and it is our job to study it and make sure that people learn about it and learn from it. I would start a class with Savannah’s speech, but they would all look at me like I was crazy. Anyway, that is what I get from Mad Max: Beyond Thunderdome. Oh yeah, there is one other cool thing in the movie. As Savannah’s words fade away, we see Max walking alone through the desert, and everyone knows that heroes ending up riding into the sunset.